Explore the GVU Center research community's work and its impact in this 10-part series on how we are Creating the Next. New entries are released Tuesdays and Thursdays every week through the end of February and we invite readers to take part in the Campanile Challenge. What's GVU? Ranging from creating cutting-edge computing innovations, to understanding the impacts that the innovations will have on our lives, GVU embodies ambitious technology research and Georgia Tech’s commitment to designing human-centered technology approaches. The GVU Center seeks to create the next innovations in human-centered technology that will shape how we live in a world poised for the next computing revolution. We invite you to be a part of this important work. 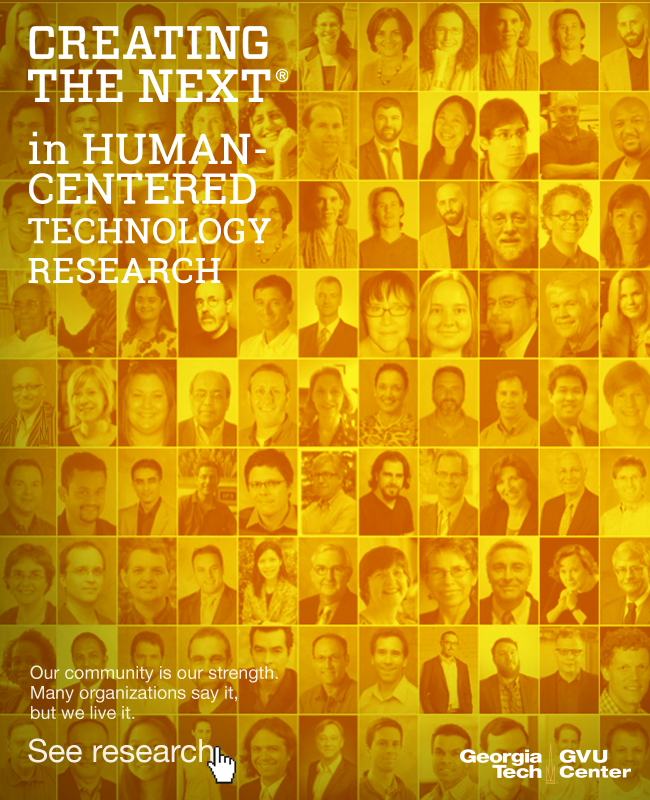 Learn more about our research and people. Virtual reality is an emerging market with many application areas, including entertainment, workplace training, healthcare, and education. New interaction techniques continue to refine the VR experience. 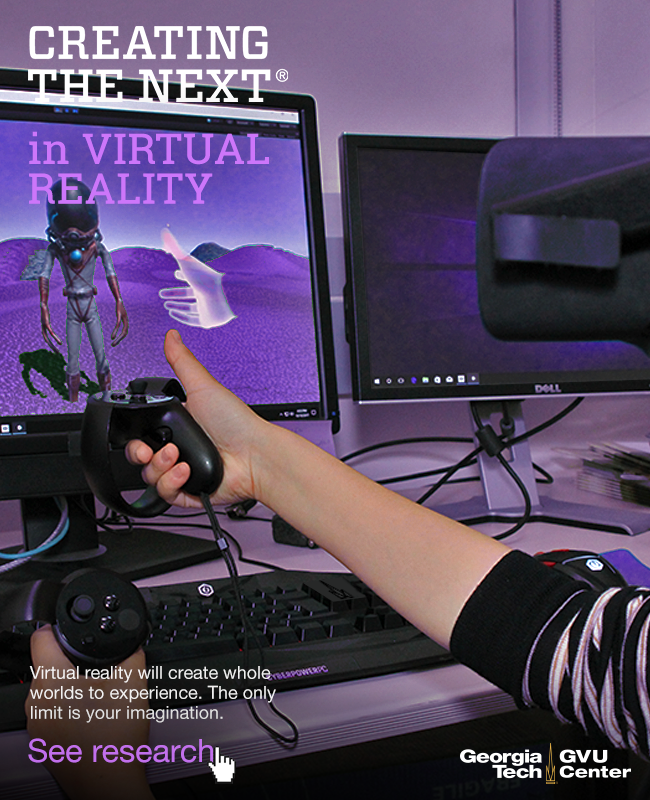 Learn more about the project above and other interdisciplinary GVU research in Virtual Reality. 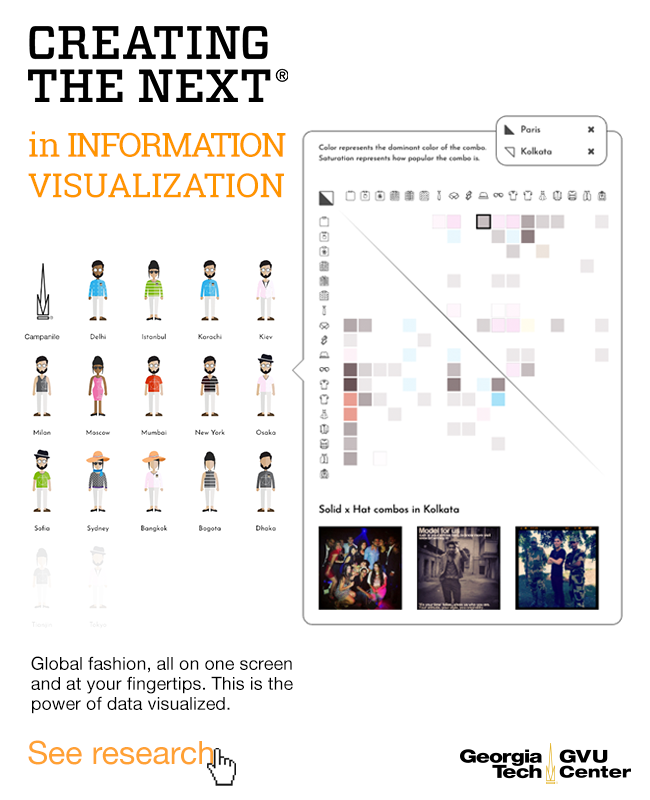 Visualizing data is more than just about sales figures and profit ratios. Today, datasets are almost limitless and can look at peoples' lived experiences and any facet of society. Learn more about the project above and other interdisciplinary GVU research in Information Visualization. The Internet as we know it has existed on video screens ever since its inception. But new web technologies will extend the 2D screen into 3D space and become as common as the mouse and keyboard. That future is closer than you think. 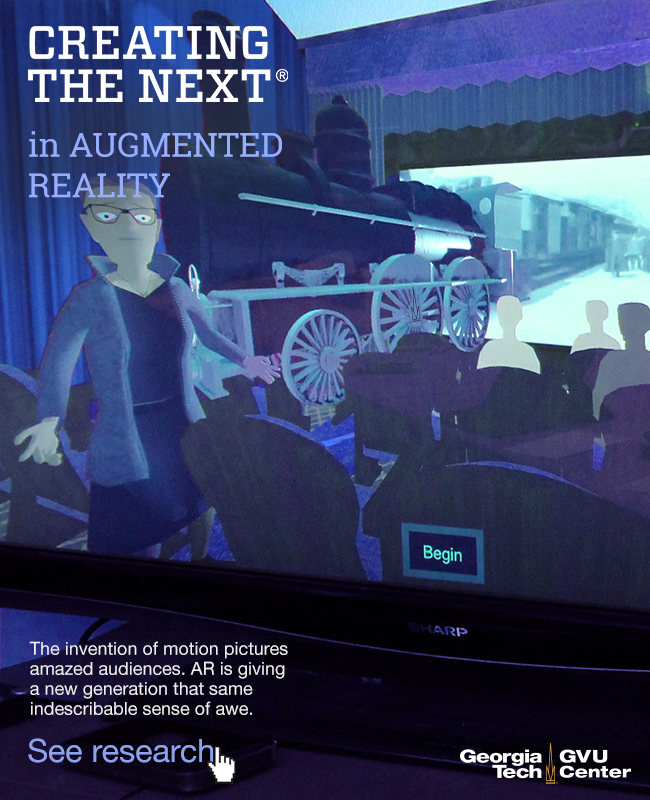 Learn more about the project above and other interdisciplinary GVU research in Augmented Reality. Collaborative work gives teams the ability to leverage their collective talents, creating more impactful solutions. And technology helps foster that energy to help build truly landmark innovations. Learn more about the project above and other interdisciplinary GVU research in Collaborative Work. Civic computing has the potential to address major social and equity issues within communities and shared urban spaces. Smart Cites and other strategies that enable connectivity at a whole new level are a part of this vision. 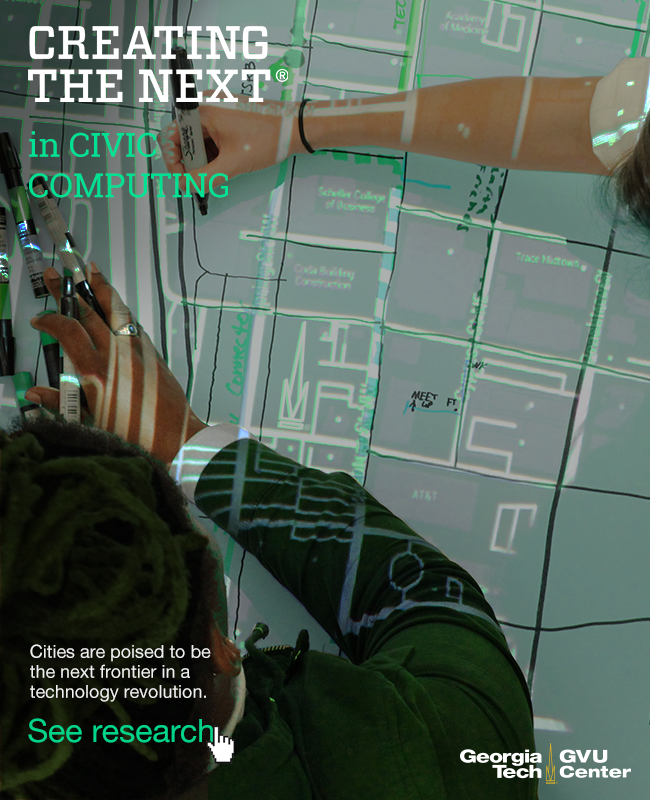 Learn more about the project above and other interdisciplinary GVU research in Civic Computing. Social media and computing redefined how we connect. They ushered in the Information Age’s next phase, one where we could reach out and share seamlessly, learn about each other, and offer different perspectives at a global scale. 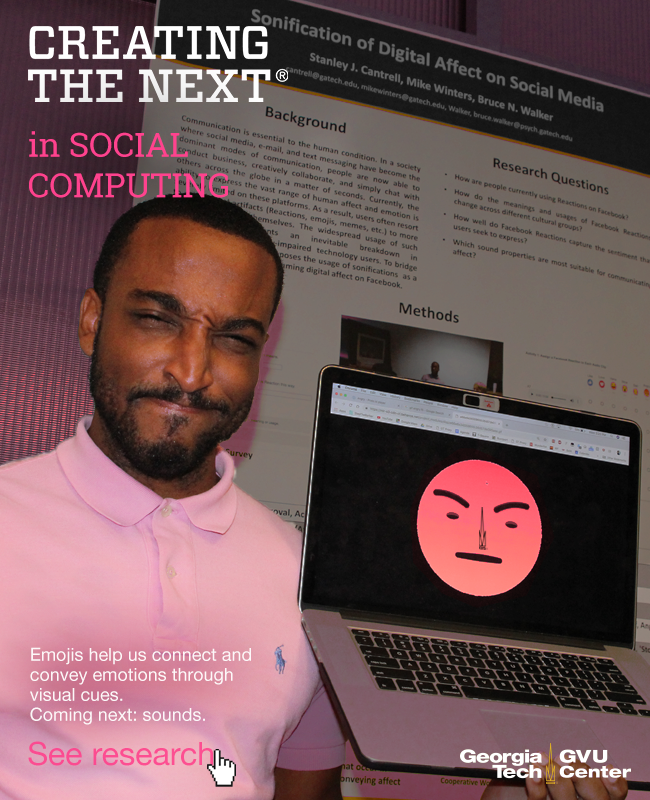 Learn more about the project above and other interdisciplinary GVU research in Social Computing. 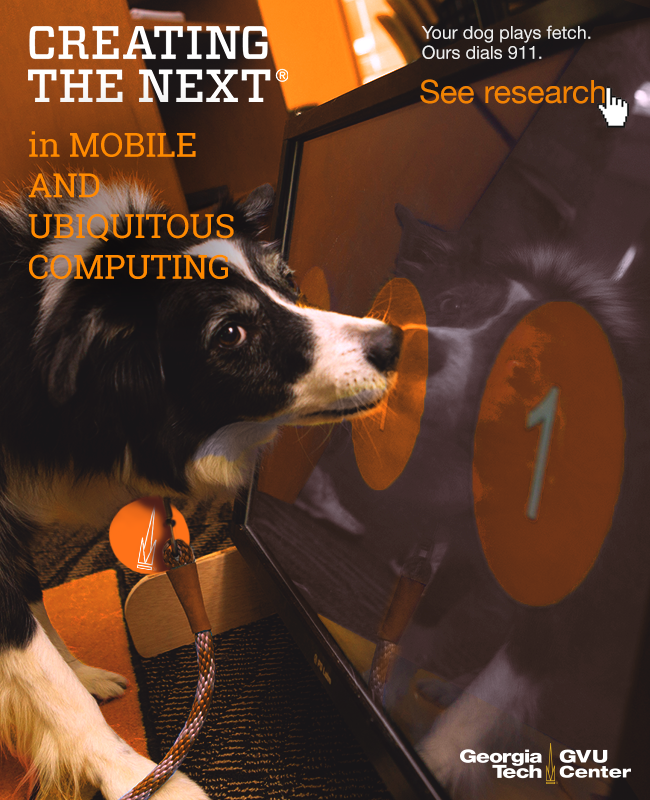 Ubiquitous and mobile computing are an everyday part of many people's lives. But the smartphone is only the beginning. The Internet of Things and other innovations will embed tech into society in a surprising number of ways. 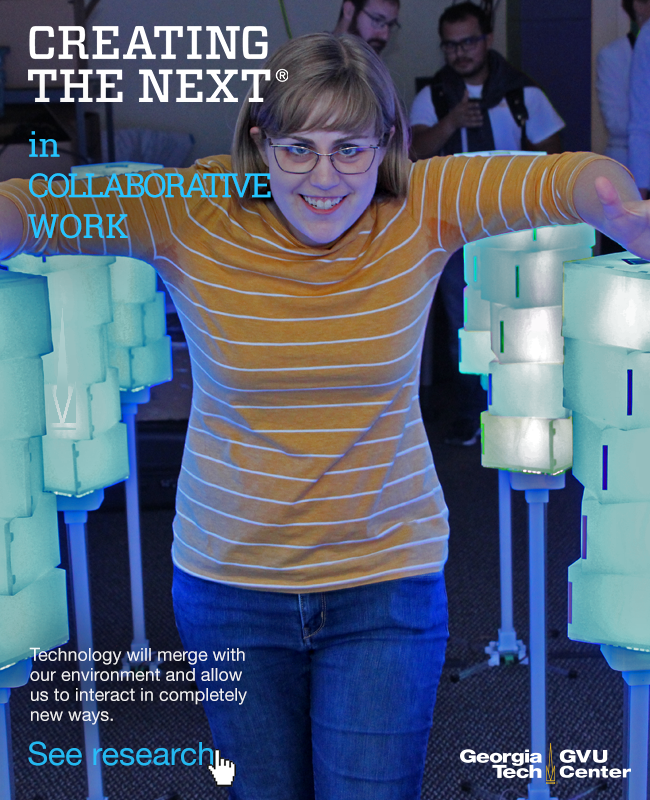 Learn more about the project above and other interdisciplinary GVU research in 'UbiComp'. Online communities today represent how we connect, learn, digest current events and sometimes make career and life decisions. They are an extension of our social networks and facilitate our understanding of the world around us. 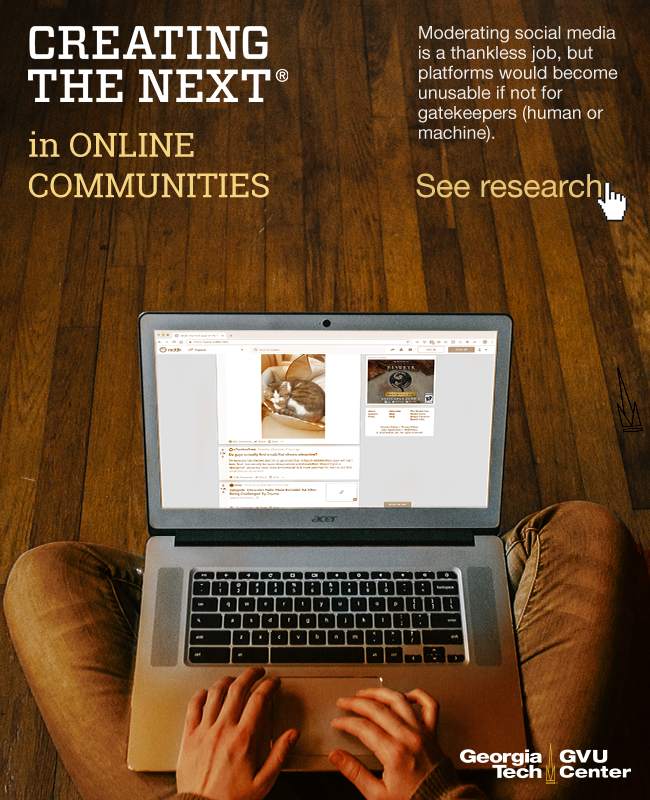 Learn more about the project above and other interdisciplinary GVU research in Online Communities. Artificial intelligence research is a frontier that will fundamentally change our species. The advancements it brings could dwarf those seen in past eras such as the advent of the printing press and the industrial revolution. Learn more about the project above and other interdisciplinary AI research in GVU. Are you ready for a scavenger hunt? 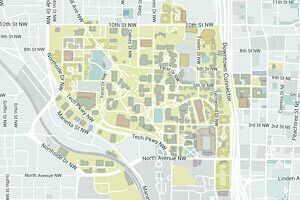 Search the above images (10 total released weekly through March) to find the hidden GT campanile in each. The campanile will be at least as large as the one in the GT logo. When you find the campanile, click to go to the interactive version of the image and hover over or tap the campanile to reveal the clue. Collect all 10 clues in the series to decode the mystery and become the campanile conquerer. Treasure awaits at the end of your journey. All Campanile Hunters who submit the answer will receive prizes and we will post all the names of those who complete the challenge. Happy hunting!